Yes, this symbol goes way back in time. 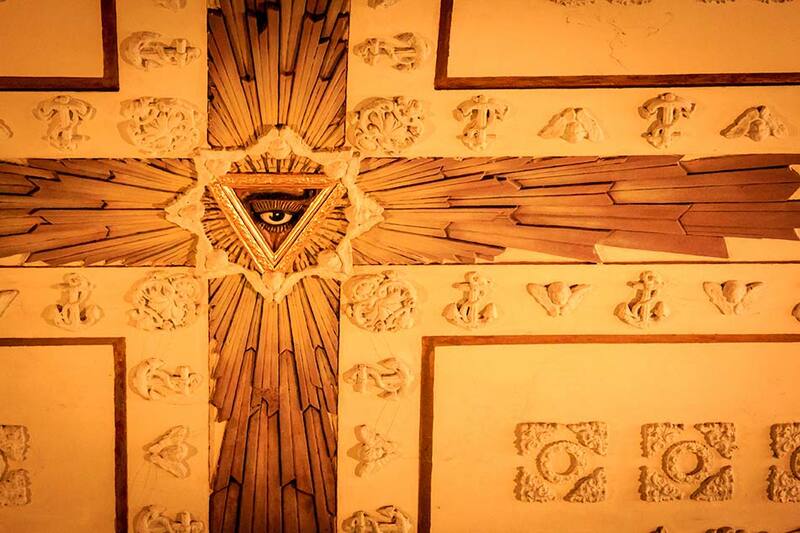 I found it on the ceiling of a church in Leon, Nicaragua but I can’t tell you which one — I’d visited five that day and was focused on shooting. Churches here in Central America burn down or are destroyed by earthquakes, then rebuilt so it’s hard to know when this little detail was added. The church itself was 300 years old. 5 or 500 years, it’s impressive and provocative. I could spend the better part of my day looking at this and it would be the best part of my day. The “Eye Above You” is at least 500 years old. Be careful, Johny, the Eye is watching you…!!!!! Incredible shot! I’m not very religious but I love the architecture and art old in old churches! This is amazing! And I will take a desktop wall paper anytime! Thanks for this great post. I believe is in Leon’s Cathedral, inside the tabernacle chapel, if my memory serves me correctly.